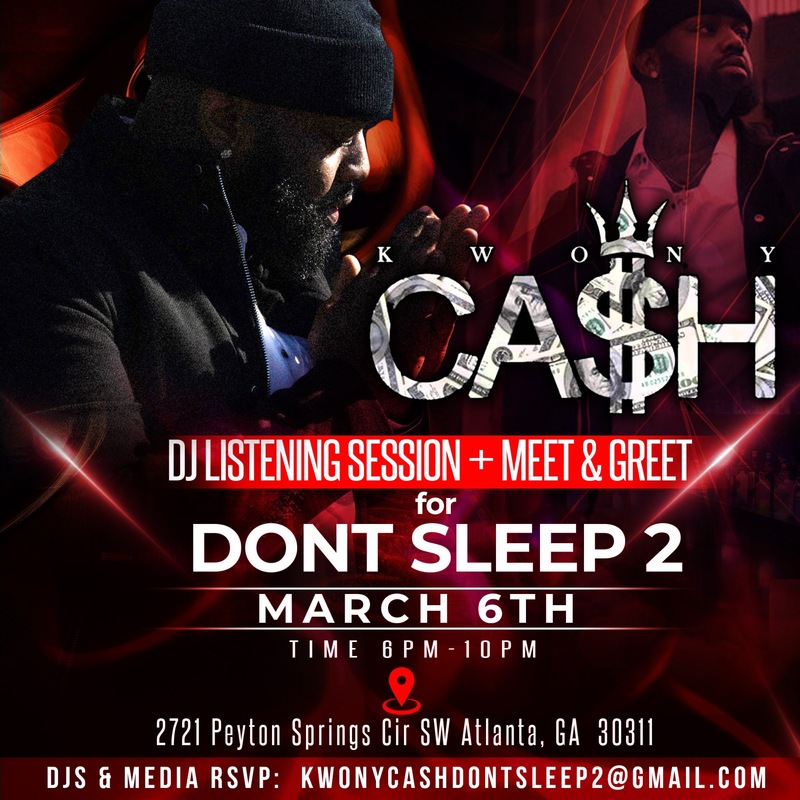 @Kwony_Cash hosts an invite only #DontSleep2 event. We all know Atlanta rapper Kwony Cash. Kwony gained mainstream success after the release of his 2013 single, “Feelings” and his appearance on K Camp’s 2014 hit single, “Money Baby” & briefly had to sit down & do a lil time. Now, the feelings rapper is back with his highly anticipated project “Don’t Sleep 2”. Kwony is hosting an invite only #DontSleep2 Private Listening/meet & greet event. Calling all Dj’s , Media , & Tastemakers to come get these tracks exclusively, eat, drink, get drops & give feedback! !